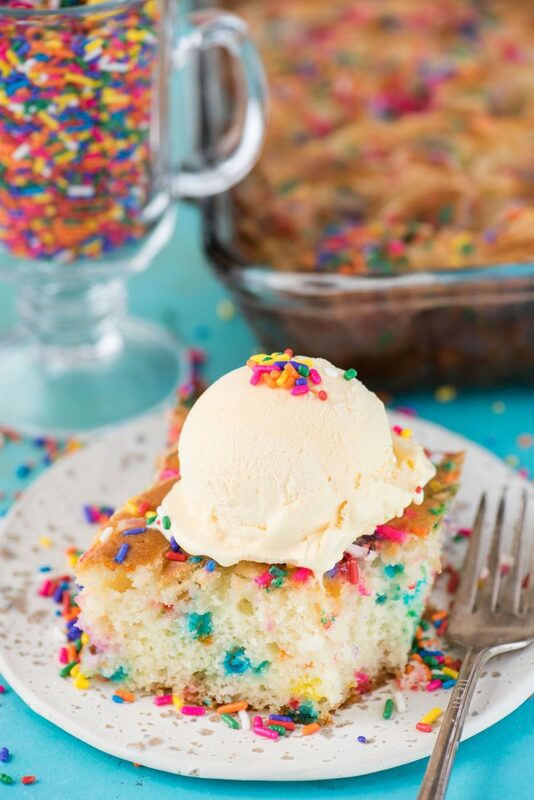 This funfetti earthquake cake is a white cake mix loaded with sprinkles and funfetti chocolate chips. 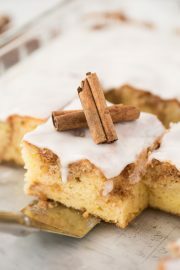 Swirl in the cream cheese frosting layer and it bakes into the cake creating crevices and cracks on top of the cake. What is an earthquake cake? An earthquake cake is a type of cake where you add a layer of cream cheese frosting to the cake batter before you bake the cake. 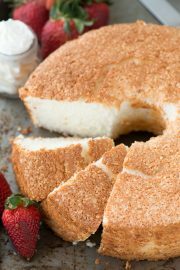 The cream cheese layer “melts” into the cake, creating crevices and cracks on top of the cake, hence the name earthquake cake! This type of cake does not call for frosting on top of the cake because the frosting bakes INTO the cake. The result is a super moist, ahh-mazing cake! All earthquake cake recipes start by layering something on the bottom of a 9×13 inch pan. 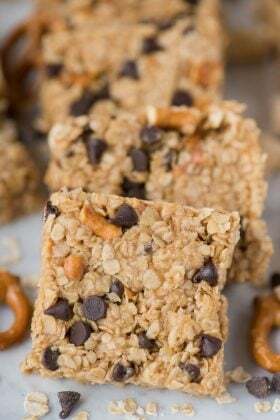 It could be coconut, chocolate chips, or nuts, or all three. Step 1 For our funfetti earthquake cake, we start by layering confetti chocolate chips. 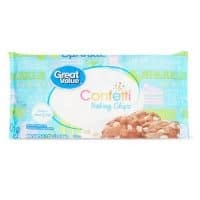 You can buy confetti chocolate chips at Walmart, look for the great value brand ones. 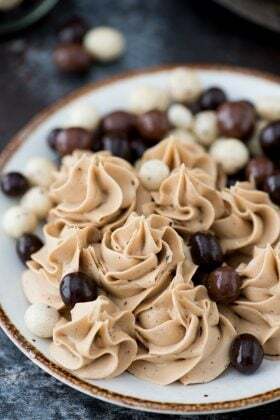 Pour that on top of the chocolate chips. Step 3 Next, the cream cheese frosting goodness. Prepare the frosting and transfer it into a piping bag or ziplock bag and pipe the frosting all over the cake. I did mine in a grid pattern and went back and swirled it together with a butter knife. Step 4 Add more sprinkles, because this is a funfetti cake after all! 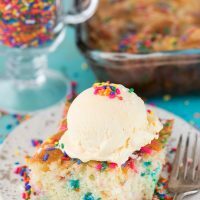 Should I refrigerate earthquake cake / a cake with cream cheese? 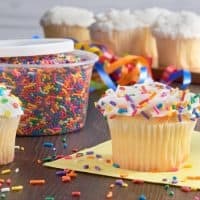 How to store earthquake cake? The answer to this question depends on the person. 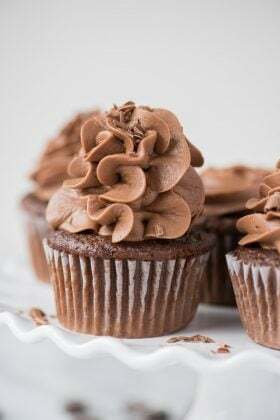 Trusted bakers have said that if you’re going to eat the cake in the next day or two and if your house stays around 70 degrees or cooler, you can leave the cake covered on the counter. However, if your house is warmer, if it’s summer and super hot, the better option is the fridge. 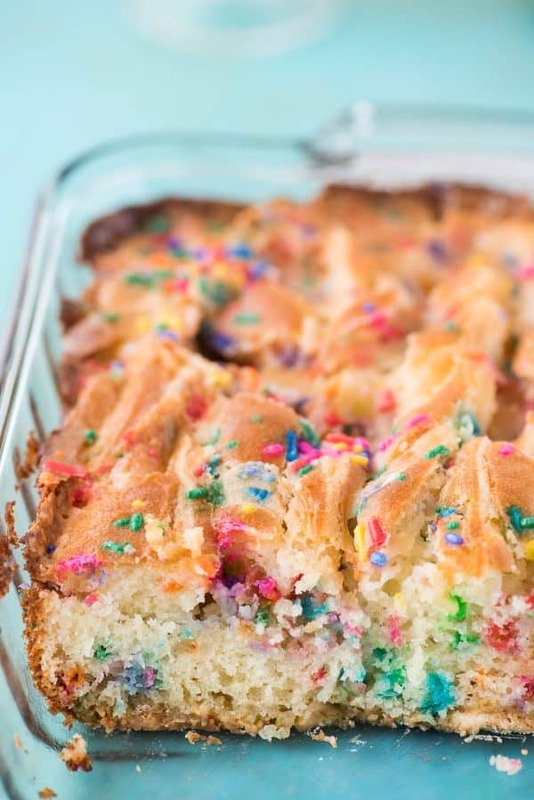 You can always refrigerate this cake overnight if you’ll be serving it the next day, and pull it out of the fridge first thing in the morning so it has time to come to room temperature. Beth’s opinion: Are you serving the cake within the next day or two? Leave it on the counter, but be sure to cover it with a cake lid or plastic wrap. 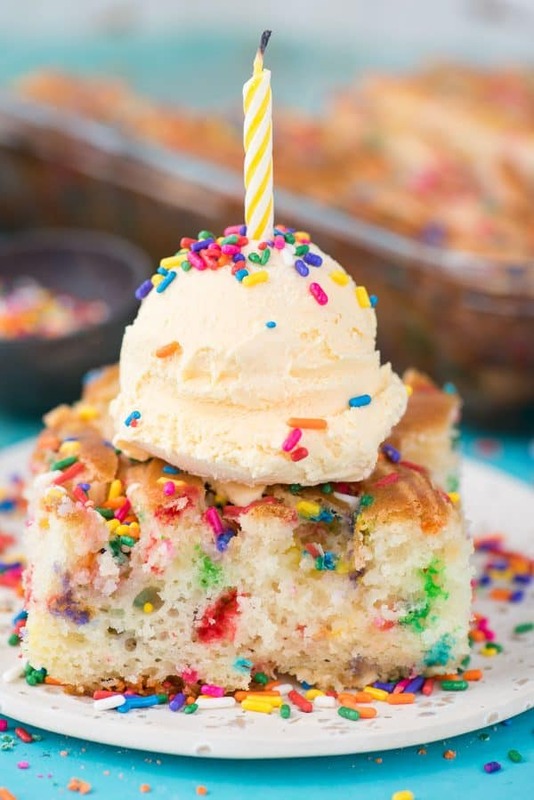 What to serve with funfetti birthday earthquake cake? Ice cream! I’m always a fan of ice cream. A dollop of whipped cream. And of course, more sprinkles. 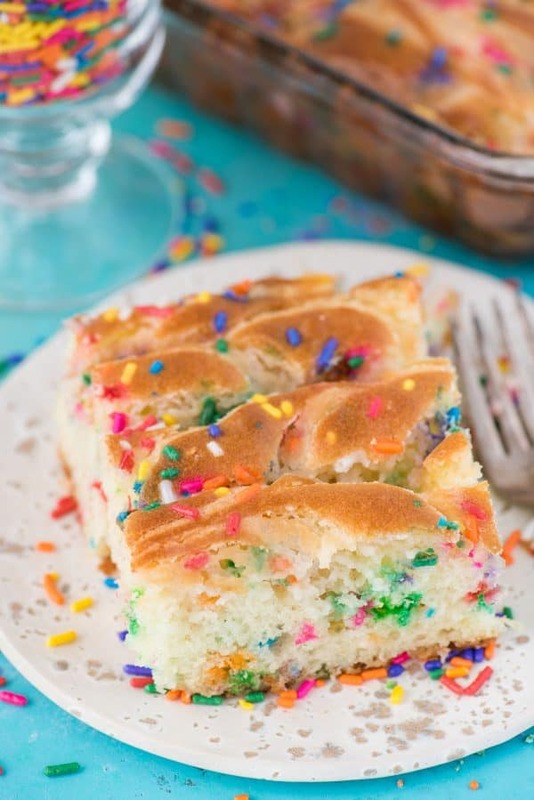 Where can I buy the prettiest, bright jimmie sprinkles? Walmart wins again! I have hunted for the best looking jimmie sprinkles and Walmart has the best ones! There is no brown sprinkle, which is great because no one wants brown in their rainbow sprinkles. Plus the walmart brand jimmies are bright pink and purple! Lightly spray a 9 x 13 inch pan with non-stick cooking spray. 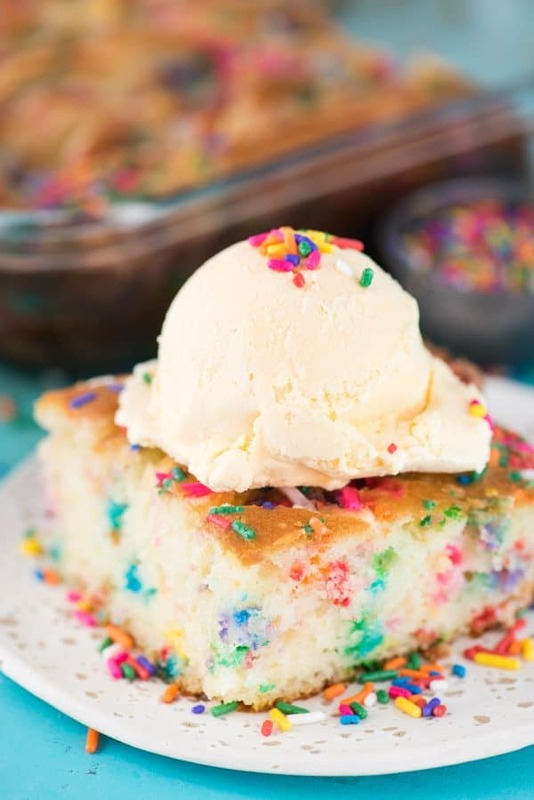 Sprinkle confetti chocolate chips on the bottom of the pan. 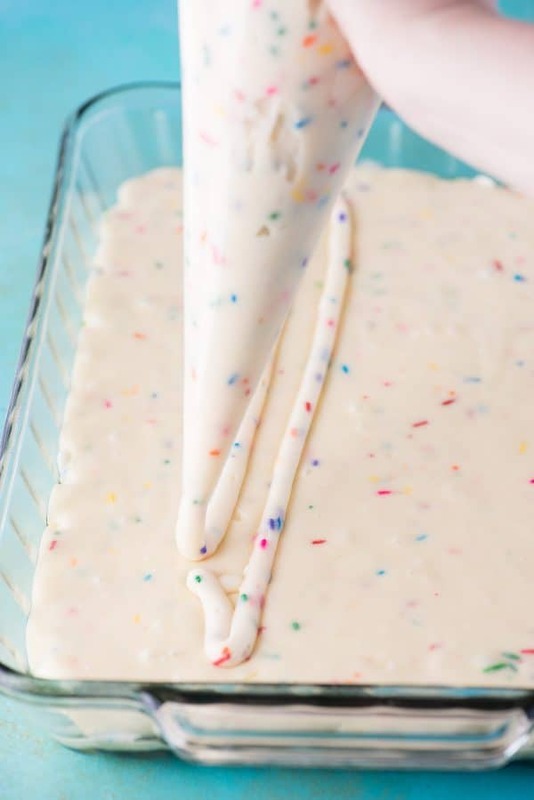 Using an electric mixer, beat the funfetti cake mix with the oil, eggs, and milk until combined on low. 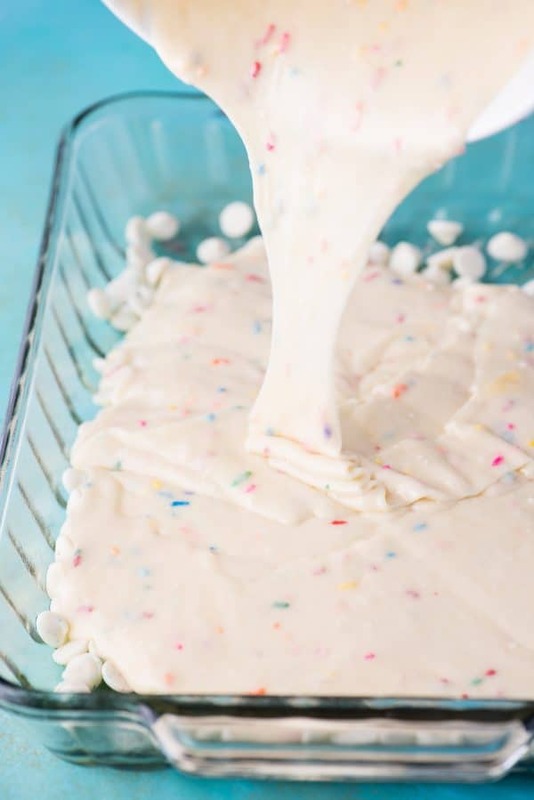 Pour the cake mix on top of the confetti chocolate chips. 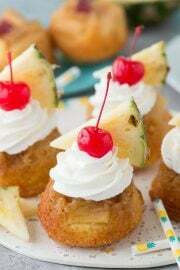 Using an electric mixer, beat the cream cheese, melted butter and vanilla until combined. Gradually add the powdered sugar, mixing until thick, add in the sprinkles and mix one last time. 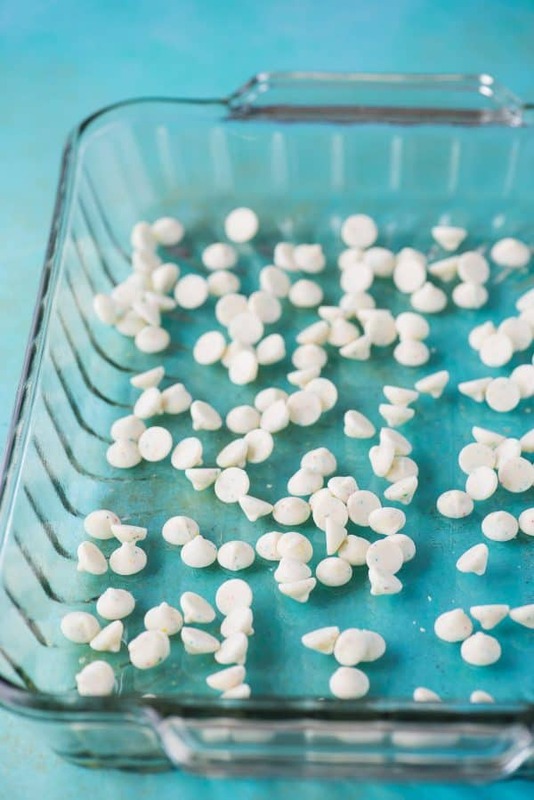 Transfer the frosting mixture into a piping bag (or ziplock bag with the corner cut off). 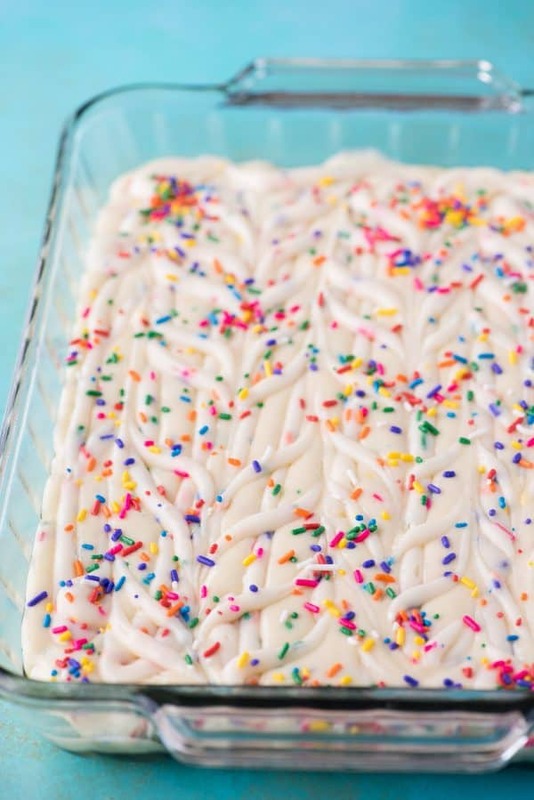 Pipe the frosting mixture over the cake batter, creating any pattern you wish. Use a butter knife to create swirls. Top the cake with additional sprinkles. Bake for 30 minutes. Then loosely place a piece of aluminum foil over the cake and bake for 5-10 for minutes (for a total bake time of 35-40 minutes). Allow the cake to cool completely before serving. 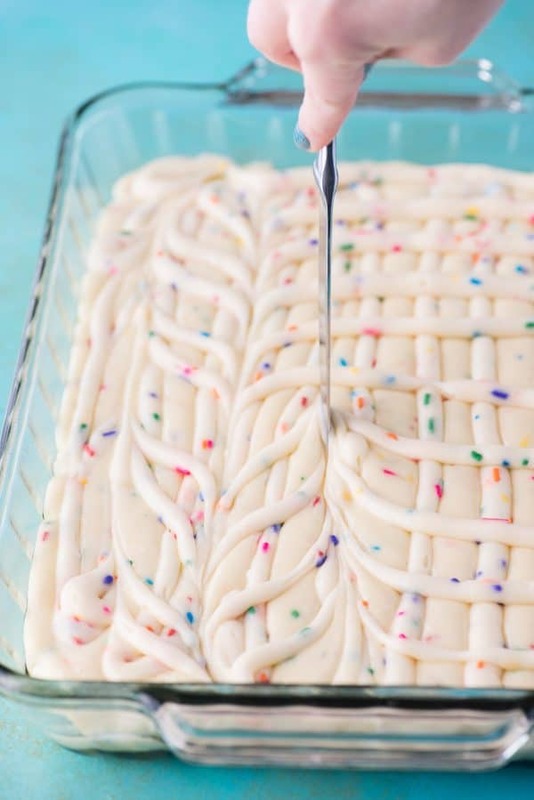 The frosting layer should “sink” into the cake, creating ribbons of frosting INSIDE the cake! Cover and keep on the counter if you’ll be serving the cake in the next day or two. Otherwise refrigerate. A full of Happiness on a plate, the kids will love this, thanks a lot for sharing. Haha, yes! You’re very welcome!